Baby Gumm Productions: Liza Live! Baby Gumm Productions is pleased to present the talented Jennifer Walls in her one-woman show, Liza Live! 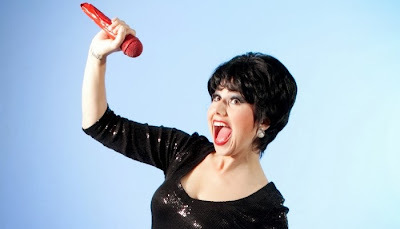 One part talk show, one part game show and one part cabaret, Liza Live! is all that and more! Experience Liza May Minnelli as you’ve never seen her before. Liza Live! played to sold-out capacity and appreciative crowds at both the Next Stage and Toronto Fringe festivals in 2013. Come see what Toronto audiences are raving about and catch Jennifer Walls in Liza Live! at the Staircase Theatre in Hamilton on January 11, 2014 at 8pm. Presented by Baby Gumm Productions. Tickets for Liza Live! are just $20 and can be purchased online in advance at Ticket Scene or at the box office on the evening of the performance. The Staircase theatre is located at 27 Dundurn Street North in Hamilton.